In 1784, the United States was literally in its infancy, having just been granted independence from England according to the terms of the Treaty of Paris. That same year, a sixteen year-old Maryland boy journeyed across the Atlantic ocean to attend the College of the Holy Cross in Bornhem, Flanders. Founded over a century earlier by English Dominicans fleeing persecution in their native land, this preparatory school for young men introduced the boy to a way of life he had never before encountered—the life of a Friar Preacher. The witness of his Dominican instructors made a powerful impression on this young student from America. Sensing a growing desire to follow in the footsteps of St. Dominic, he applied for admission as a novice after completing his course of studies. Baptized Edward, he received the name Dominic upon entrance into the Order—a fitting choice, for like the great founder, Dominic Fenwick would also one day be a founder. No doubt animated by the spirit of his patron, he dreamed of returning to Maryland to plant the Dominican seed in his native land. Turbulent events in Europe provided Fenwick with an opportunity to realize his dream. In 1789, revolution broke out in France and eventually brought down l’ancien régime with devastating consequences for the Church. The anti-clerical revolutionary spirit soon spread to Flanders, which was invaded by French forces in 1794. As the invading army approached Bornhem, the English Dominicans decided to abandon the college and return to the relative safety of England. What in all other respects was a great tragedy nevertheless proved to be providential for the future history of the Order. With the English friars facing a very bleak future, Fenwick proposed that the only way to assure the continued existence of the province was to make a completely new foundation far from the present troubles. His hope was to make a new foundation in the United States, in effect recreating Bornhem College in his native Maryland. Three of his English confreres saw the wisdom of his proposal and pledged to join him in the venture. Early in 1804, Fenwick wrote of his plans to John Carroll, first bishop of Baltimore, whose vast diocese embraced most of the newly-independent United States and its adjacent territories. Carroll was in desperate need of priests to minister to his widely-scattered flock. Without a doubt, the prospect of four Dominicans arriving to make a foundation was welcome news. However, Maryland already had two preparatory schools for young men—St. Mary’s in Baltimore and Georgetown in the District of Columbia. Carroll could do without a third such college in the area. His most pressing need at the time was for missionaries on the Kentucky frontier. As early as 1785, Maryland Catholics had begun migrating to Kentucky in significant numbers. Suffering from the effects of economic depression, they looked to the frontier as offering the opportunity for a fresh start. By the beginning of the nineteenth century, there were already a few thousand Catholics taming the Kentucky wilderness yet they had only one priest to care for their needs. Carroll had received numerous letters from both the Kentucky laity and Stephen Badin, the lone priest in the area, pleading that help be sent. Based on the urgency of the situation, the bishop asked Fenwick and his confreres to turn their thoughts away from Maryland and to consider missionary work among the neglected Catholics of the frontier. Although Fenwick initially had doubts about the feasibility of making a foundation in wilderness territory, he changed his mind after a visit to Kentucky, where he received a warm welcome from the settlers. His decision to plant the Dominican seed on the frontier would have profound consequences for the future character of American Dominican life. The Dominican Province of St. Joseph was formally erected in May, 1805 by the Master of the Order, Pius Joseph Gaddi. Existing on paper alone at this point, the province contained not a single house and numbered only four friars, three of whom had yet to arrive on the scene. Fenwick, the only American in the group, would be superior. Joining him would be the English friars Samuel Wilson, William Tuite and Robert Angier. Normally, a new province is not formally erected until a number of foundations within the new territory have been made. An already established province assumes responsibility for the new foundations, providing men and financial support. However, the English province at the beginning of the nineteenth century was itself struggling for survival and could little afford to support a new venture in the United States. Fenwick and his companions were left to build the province completely from their own resources. The activities of the friars were not, however, restricted to the borders of Kentucky. American Dominicans were instrumental in establishing the Church in Ohio and Tennessee as well. At Carroll’s request, Fenwick began, as early as 1808, visiting Catholics scattered throughout Ohio. Other missionaries had passed through the territory, but Fenwick was the first to provide regular ministry to the tiny flock, making visits twice a year. The focal point of the Ohio missions was the settlement of Somerset with about twenty Catholics. In 1818, Fenwick built a log-cabin church there, the first Catholic church in Ohio. St. Joseph’s in Somerset would soon eclipse the mother priory of St. Rose as the center of life in the province. Beginning in 1834, it became the provincial House of Studies where young men, for the next seventy years, would be trained for the Dominican priesthood. Formal recognition of St. Joseph’s as a studium of the Order came in 1841. One of the primary concerns in these early years was precisely the nurturing of vocations in order to assure the survival of the fledgling province. The first native vocations to the province came out of the college at St. Rose. In 1816, ten years after the foundation on the frontier, four young men were ordained as the first Dominican priests in the United States. It was hoped that the college would continue to furnish an abundant supply of candidates to the Order, but for many decades vocations only trickled into the province. In fact, nearly fifty years after the province was founded, the membership stood at a mere 53 friars, only 19 of whom were American-born. This dearth of native vocations was one of several negative consequences resulting from the establishment of the province on the frontier, far from the populous urban centers of the east coast. Dominican conventual life and intellectual life also suffered. Burdened with mission responsibilities, the early friars had little time left for common choral prayer or to cultivate the quiet needed for study and contemplation. These traditional aspects of Dominican life took root slowly in the province because of the circumstances in which the friars first found themselves. But while conventual life in the province was not always what it should have been in these early years, the sacrifices made for the apostolate were necessary at the time for the good of the developing Church on the frontier. Another sacrifice which the province made for the good of the Church was the loss of several of its most talented and saintly individuals to the episcopate, beginning with Fenwick himself. Because of his untiring labor in building up the Catholic community in Ohio, Fenwick was appropriately chosen first bishop of Cincinnati in 1822. Other American friars soon received the honor of the miter as well. The next son of the province to be made bishop was Richard Pius Miles, a member of the first ordination class. Miles was named first bishop of Nashville, Tennessee in 1837. When he took possession of his diocese, there was no priest waiting to greet him, no cathedral in which he could preside. He was a bishop whose sole possession was a small Catholic flock, many of whom had fallen away from the faith for lack of a priest to minister to them. Laboring under difficult circumstances for twenty-three years, Miles virtually built the Church in Tennessee from nothing. Upon his death in 1860, he was succeeded by another member of the province, James Whelan. Yet another friar who had been working in Tennessee under Miles, Langdon Thomas Grace, became the second bishop of St. Paul, Minnesota in 1859. As the century progressed, the nation was expanding and the frontier moving further west. In 1848, the California territory was annexed to the United States and officially became part of the Union two years later. Catholicism had been introduced in the territory a century earlier by Spanish Franciscans who had built a chain of missions all along the length of the coast. Spanish influence did not suddenly evaporate now that California belonged to the United States. Thus it was necessary to provide this newest state in the Union with a bishop who was familiar with the Spanish language and culture, and yet who was of an American mindset. Dominican friar Joseph Sadoc Alemany met all the necessary qualifications. A Spaniard by birth, Alemany entered the Order in Europe but soon after ordination volunteered to join the Province of St. Joseph as a missionary in 1840. Elected provincial after eight years of labor in the province, he traveled to Rome in 1850 to attend the General Chapter of the Order at which time he was appointed first bishop of Monterey by the Holy See. The new bishop was but 36 years old. Meanwhile, the General Chapter decided that it would take advantage of Alemany’s appointment as chief shepherd of California to expand the Dominican presence in the United States. Before he left Rome, Alemany was charged by the Chapter with laying the foundations for a completely new Dominican province on the west coast. He was to be aided in this task by another Spanish Dominican, Francis Vilarrasa, who had himself been working in St. Joseph province for several years. These two Spaniards would become the founding fathers of the Holy Name Province, centered in California. Just a few years after Alemany’s departure for California, the Province of St. Joseph received an opportunity it had been awaiting ever since Bishop Carroll had sent the first friars westward—an invitation to make a foundation in the urban northeast. Ironically, the invitation was made by one of Carroll’s successors in Baltimore, Francis Kenrick. The friars eagerly accepted Archbishop Kenrick’s offer to come eastward and established the parish of St. Dominic in Washington, DC in 1853. This particular foundation marks a turning point in the province’s history. Up to this point, the province had been struggling for survival, hampered in its vitality by the demands of the frontier. But as more and more foundations would be made in the cities of the northeast, vocations would finally begin to increase as well. The basis was being laid for rapid institutional expansion in the twentieth century. In the second half of the nineteenth century, the United States witnessed a virtual tidal wave of immigration to its shores. Among the immigrants were thousands of Catholics from Ireland, Germany, Poland, Italy—an influx which the American Church was ill-prepared to handle. During this era of immigration, the Dominican friars accepted the care of souls in many dioceses, principally taking charge of Irish congregations. Two of the more prominent establishments of this period are St. Vincent Ferrer (1867) in New York City and St. Mary’s in New Haven, Connecticut, which the province accepted in 1886 at the invitation of the bishop of Hartford. Just a few years prior to the arrival of the Dominicans at St. Mary’s, the church basement had been the setting for the historic founding of the Knights of Columbus, a Catholic fraternal organization, by the secular priest Fr. Michael McGivney. In addition to staffing numerous parishes, the Dominican friars of this period also became involved in preaching parish missions or retreats. Mission bands or teams of preachers were organized who would travel from parish to parish preaching on selected themes and renewing the faith of immigrant congregations. These itinerant Dominican preachers traveled extensively throughout the urban centers of the northeast bringing distinction to the province and attracting vocations. Whereas the mission bands of some other religious orders elicited conversion of heart through “fire and brimstone” preaching, the Dominican preachers tended to shy away from moralizing sermons and focused on doctrinal expositions, emphasizing the role of grace in living a virtuous life. In terms of the intellectual life of the province, a major turning point occurred in 1905 with the building of a new House of Studies near the newly-founded Catholic University of America in Washington, DC. From the earliest days of the Order’s history, Dominicans had been associated with great university centers—Paris, Bologna, Oxford, Salamanca, to name but a few. St. Dominic himself inaugurated this long-standing association of his brethren with the universities when he sent seven of his first brethren to study at the University of Paris in 1217, barely a year after the Order was founded. Dominican life, with its emphasis on study as a necessary preparation for preaching, was naturally suited to a university setting. Such a setting was provided in the United States when the Catholic University of America first opened its doors in 1889. The following year, Cardinal James Gibbons of Baltimore invited the friars of St. Joseph Province to relocate their studium from Ohio to an area adjacent to the new university. Gibbons firmly believed that the presence of different religious orders in the vicinity would enhance the intellectual life of the university. In his letter to the Dominicans, he even suggested that some of the friars might eventually be offered professorial chairs at the institution, a possibility that has in fact been realized. However, it took some time for the province to reach a decision on Gibbons’ proposal. For a while, consideration was given to building the new studium in New Haven at St. Mary’s, which was near the campus of Yale University. Finally, after several years of foot-dragging, provincial leaders decided in 1902 that the Washington site would be more advantageous to the future growth of the province. Under the strong leadership of the provincial at the time, Lawrence Kearney, the new studium across the street from Catholic University was completed in 1905, a full century after the founding of the province. It had taken the American friars one hundred years to make a foundation in an urban, university setting, signaling that they were now ready to promote fully the development of the intellectual life within the province. 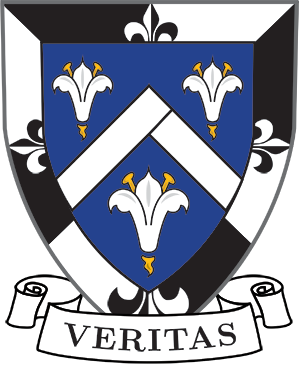 Dominican commitment to the intellectual apostolate continued with the establishment of Providence College in Rhode Island in 1917 at the invitation of Bishop Matthew Harkins. Harkins was deeply convinced of the need for a Catholic school of higher education in his diocese because the surrounding secular universities were decidedly anti-Catholic in spirit and presented a danger to the faith of young Catholics. The college he envisioned would provide the young men of his diocese with a solid education in the humanities and at the same time help to form them in the Christian life. Nine Dominican friars brought the vision of Bishop Harkins to realization when the doors of Providence College opened in September of 1919 to receive its first seventy-one students. By the mid-1920s, the province was experiencing unparalleled growth, both in terms of members and institutions. The vocation crisis was only a memory and the province was now able to undertake yet a new field of operation—the foreign missions. During the early years of its existence, St. Joseph province had benefited greatly from the aid of foreign Dominican missionaries. Indeed, without their help, it is doubtful that the seed planted by Fenwick would have ever survived. Now the time had come for the American friars to return the favor by working to build up both the Church and the Order in other lands. The first mission to be accepted by the province was the Fukien mission in southeast China. Originally founded by Spanish missionary friars, it was entrusted to the Americans in 1923. The American friars were joined in the endeavor by a group of Dominican sisters from Columbus, Ohio. Great progress was made in spreading the Gospel there until the Communist revolution broke out following the Second World War. During the ensuing struggle between government forces and the rebels, one of the missionary friars, James Luke Devine, was captured and eventually killed by rebels in 1947. When the Communists finally gained complete control two years later, all foreign missions in China were closed and the missionaries expelled. A few friars from the province were held in detention for a time and suffered brutalities at the hands of the authorities. However, all of the Dominicans being held were eventually released with the last one returning home in 1956. That same year, the province decided to accept another mission in Asia, this time in the predominantly Muslim nation of Pakistan. In this new venture the Dominican sisters from the community in Sparkill, New York collaborated with the friars. Their combined efforts in witnessing to the Gospel over the last few decades have borne much fruit, both for the Church and the Order in Pakistan. Thanks to the promotion of indigenous vocations, the Dominican mission in Pakistan presently enjoys the semi-autonomous status of a vice-province in the Order, with only a few Americans remaining. Shortly after foundations in Pakistan were begun, the American friars accepted a second mission territory in Chimbote, Peru in 1962 and continue to maintain a presence there as well. Against the backdrop of the outbreak of the Second World War, the province of St. Joseph reached another historic milestone when the new province of St. Albert the Great was carved out of its territory in 1939. Just before the division, St. Joseph Province numbered well over 700 men working from Providence to Denver, from Chicago to New Orleans. The vastness of the territory combined with the increasing number of friars made such an administrative division desirable. Territorially, St. Joseph Province retained possession of the eastern portion of the country, extending as far west as the place of origin, the Kentucky/Ohio region. The new province with headquarters in Chicago was given charge of the entire mid-western section of the country, from Minnesota down to Texas. With the Holy Name Province in the far west, the nation was now divided into three sectors of Dominican activity. A fourth Dominican province in the United States was formed in 1979 when the Province of St. Martin de Porres was created out of the southern portions of both St. Joseph and St. Albert provinces. Today, Dominican friars of St. Joseph Province continue the tradition of the first missionaries on the frontier, carrying out a pastoral apostolate in eighteen parishes. Some friars are engaged in a more contemporary form of pastoral work as campus chaplains at schools such as New York University, the University of Virginia, and Dartmouth College. Others continue to travel from parish to parish as itinerant preachers giving retreats throughout the country. Commitment to the intellectual apostolate remains strong at the Dominican House of Studies in Washington which was raised to the status of a Pontifical Faculty in 1941 and where emphasis continues to be placed on the theological tradition of the Order’s greatest thinker, St. Thomas Aquinas. Providence College has grown into a co-educational institution with a student body of approximately 3,850 undergraduates from throughout the country and remains one of the primary commitments of the province. With a number of friars involved in administration and in the classroom, the college remains committed to a solid liberal arts education within the framework of Catholic values. In addition, friars from the province can be found on the faculty of Catholic University and at other universities both in the United States and abroad. The foreign missions continue to be an important work of the province as well. In 1990, friars from St. Joseph Province began to establish a Dominican presence in Eastern Africa. The particular focus of their missionary activity is the formation of candidates for the priesthood, one of the more pressing needs of the local church. For over two hundred years, Dominican friars have been preaching for the salvation of souls in the United States. Nourished by a life of study and contemplation, they have brought the Gospel to bear in American life in a variety of ways. The seed which Dominic Fenwick planted in his homeland may have struggled to survive early on. But it has grown into a vigorous plant which continues to bear much fruit both in this country and abroad.